Leroy Anderson’s Sleigh Ride is by far one of the most well-known and frequently played Christmas songs, having been named “most popular” by ASCAP in 2009, 2010, 2011, 2012, and 2015. It’s been translated into numerous languages and is performed every December by orchestras across the country. But his is not the first orchestral sleigh ride piece nor is it the only classical sleigh ride music worth listening to. 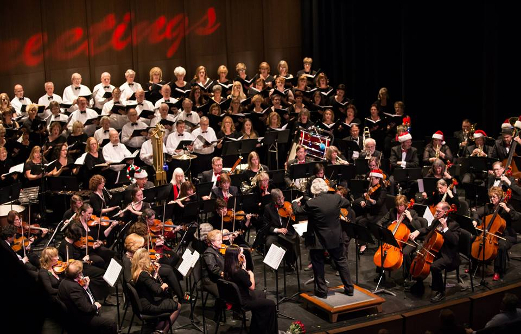 Here are 5 classical music “Sleigh Ride” alternatives that should be on your playlist. 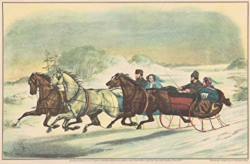 A troika is a Russian sleigh drawn by a trio of horses. So it’s no wonder that this portion of the Lieutenant Kijé Suite features sleigh bells and rapid pizzicato in between a repeating quick-paced melody. The music was written as part of a film score for a 1934 film also titled “Lieutenant Kijé”. You may also recognize the melody from another Christmas song – Greg Lake borrowed the tune for his “I Believe in Father Christmas”. English composer Frederick Delius fondly recalled the summers he spent in Norway in the 1880s. In 1887, he spent Christmas Eve with fellow composer Grieg and first performed his Sleigh Ride on the piano. Grieg’s influence can clearly be heard in the piece which portrays a lively sleigh ride that eventually comes to rest in the stillness of a northern winter’s night. Delius later wrote the orchestral version which was originally titled “Winter Night”. “Schlittenfahrt” means “sleigh ride” and is the third movement in this series of dances written by Mozart in 1791. Some scholars believe this dance was written independently of the others because of its very different style. Like other sleigh ride pieces, “Schlittenfahrt” features sleigh bells and a repeating phrase that is passed between instruments. Here’s a lesser-known classical sleigh ride, but one that’s still perfect for this list. Jacques Ibert had a knack for writing sprightly, witty works and “Sleigh Ride” is no exception. Tchaikovsky’s The Seasons is a set of 12 short pieces for solo piano. Each piece represents a different month of the year. “November”, also known as “Troika”, is considered the most challenging piece with its rapidly moving melodic flow and and “outbursts” to forte. Classical is a popular genre when it comes to dinner music, particularly Thanksgiving dinner, but not all pieces work well in this setting. Put on Verdi’s Requiem or Beethoven’s 5th Symphony and you may be serving a sense of foreboding with your sides. On the other hand, Brahms’ Lullaby, while famous and lovely, may only enhance the already soporific effect of a heavy meal. So what should you add to your dinner playlist? How about Tafelmusik. What is Tafelmusik? In German, it literally means “table music” and it’s been around since the mid-16th century. It is music that was often played at feasts and banquets and can be instrumental, vocal, or both. Composers of Tafelmusik include Johann Schein and Michael Praetorius, but perhaps the most celebrated collection is that of Georg Philipp Telemann. Telemann’s version has been compared to Bach’s Brandenburg concertos in that it is a supreme example of the composer’s skill in writing for a variety of instruments. Telemann’s Tafelmusik was originally named Musique de table and was immensely successful upon publication – with an unprecedented 206 advance purchases, 52 of which came from abroad. It came, however, toward the end of the musical form’s life in 1733 (Tafelmusik was most popular during the 1600’s). Still, it supports the same philosophy as earlier Baroque examples – that life’s delights (eating and artful music) should meet. And because of that, it is as perfectly at home at celebratory dinners today as it was in the past. The collection consists of over four hours of instrumental ensemble music which is long enough to last through any dinner party, Thanksgiving, luncheon, or any other meal. It features a cornucopia of styles and instruments including bassoon, oboe, trumpet, harpsichord, and strings that all delight the senses with truly vivid music. It has been described as brilliant, dazzling, and infectious music. Die Fledermaus? At A Halloween Concert? If you’re familiar with the famous waltzes of Johann Strauss II (think “The Blue Danube”), you might be asking yourself, why on earth are we performing the overture from Die Fledermaus for a Halloween concert? It’s not creepy or spooky or scary. In fact, it’s quite the opposite – filled with sweet melodies and bouncy rhythms that act as a preview of the rest of the operetta which is filled with humorous plot twists, cases of mistaken identity, and a final chorus in honor of champagne. 1. The opera is about a masquerade: The operetta (a term used to describe a short opera with a light or humorous theme) is centered around a masquerade ball. And what’s more Halloween than dressing up in costumes? 2. The title means “The Bat”: Die Fledermaus is German for “the bat”. The operetta’s main character, Eisenstein, left his friend Dr. Falke abandoned and drunk on the street. Dr. Falke was dressed in a bat costume and from that point on he took on the nickname of “Dr. Bat”. Interestingly, “fledermaus” does not translate to “flying mouse”. “Fleder” is an old form of “flattern” which means “flutter”. So “fledermaus” is “fluttermouse”. 3. It’s fun! : Who says Halloween music has to be creepy? After all, it is meant to be a fun holiday and what’s more fun than clapping or swaying along with the famous waltz melody of this overture once called the “pièce de resistance” of the operetta by a Viennese critic. In fact it was so well-received at its premiere that it was interrupted several times by applause. African-American heritage is celebrated year-round in the Mile High City, but during Black History Month, it truly comes alive. 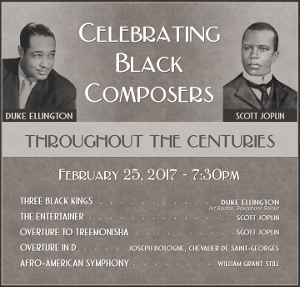 Below are just some of the various Denver area Black History Month events you can take part in this February. 2017 Black History Live – Harriet Tubman Harriet Tubman is coming to Colorado. 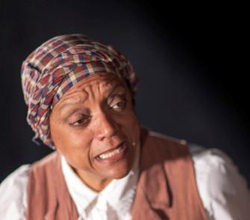 Becky Stone, a national humanities and Chautauqua scholar, will portray Harriet Tubman, showing everyone how one woman became an abolishonist and led hundreds of slaves to freedom. It will be held at various locations throughout the Denver metro area and beyond. “Black Women in Medicine”: Colorado premiere of documentary honoring black female doctors around the country, featuring rarely-seen documentation of black women practicing medicine during critical operations, emergency room urgent care and community wellness sessions. Includes first-hand accounts from black female pioneers in medicine and healthcare like Dr. Claudia Thomas and Dr. Jocelyn Elders. Airing, Sunday, Feb. 19 at 8 p.m. Colorado Public Television 12.1. Musician Spotlight: Dan Reinschmidt Rocks! 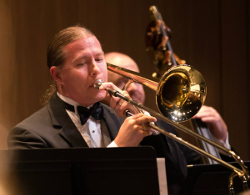 If you’ve attended any Parker Symphony concert over the last 3 years, you’ve definitely heard our trombonist Dan Reinschmidt. And like last year’s holiday concert, he’s going to rock both the trombone and the guitar during the A Classic Parker Holiday concerts this weekend. After all, what would a Trans-Siberian Orchestra piece like A Mad Russian’s Christmas be without electric guitar? Since he’s going to play such a big part in our upcoming performances with both slides and riffs, I thought it would be a perfect time to learn more about this multi-talented musician and dedicated family man. How long have you played with the PSO? I’ve been with the PSO since 2013. That’d be 3 seasons. What do you do when you’re not playing with the PSO? While my main day job is full-time dad, I also work at Play-It-Again Music in Parker, which donated some of the equipment we’re using at this concert, and as the choir director at St. Matthew’s Episcopal church in Parker. I’m playing with several at the moment. I play trombone with the Blues Brothers, who played at PACE on November 26. I play bass guitar with an indie rock band called Survive The Planet, which is in the process of recording an album. I also play bass with a classic rock cover band, Misconduct, which will be playing a couple of private shows in December and February. Do you play other instruments besides trombone and guitar? I learned to play trombone in middle school band class. 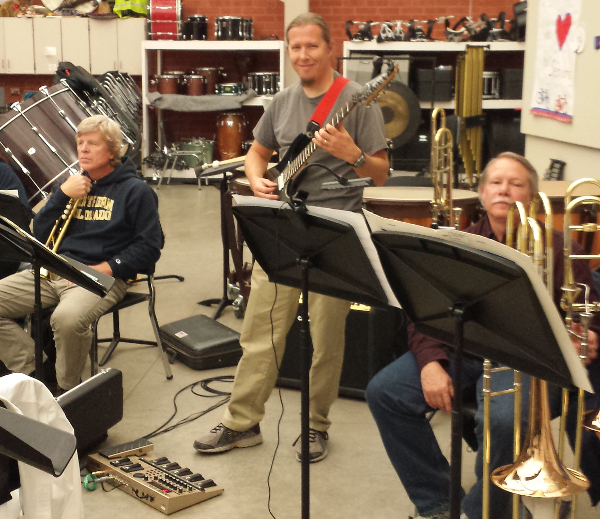 My mom all but insisted that I try band and I all but insisted that it be on the trombone. I got the idea from a school assembly in 5th grade where a man played trombone, accordion, and high-hat simultaneously. It must have made an impression on me. 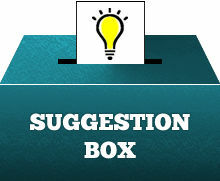 Do you have a fond musical memory you could share? Last season in the PSO my niece, Meaghan Reinschmidt, joined the PSO on trumpet. It was the first time I was able to play along side her in an official capacity. I love music and I love my family, when they come together it’s the funnest thing I can imagine. Do you have a favorite band or musician? Favorite composer? I’m into industrial and progressive rock as well as metal. If I had to pick a favorite band it would be Nine Inch Nails. As for composers, I love the classical and romantic periods the most, but few have reached the level of J.S. Bach. A close second would be Percy Grainger. Stavinsky’s Firebird Suite, Wagner’s Lohengrin, and any Bach Fugue. Lincolnshire Posy by Grainger was probably my favorite overall. Is there anything in particular you like or find interesting about playing A Mad Russian or another piece in this concert? I find it interesting whenever a piece of music is adapted to a whole new style. It’s like hearing something from a very different perspective. Many musicians hear the Nutcracker Suite and groan, “not this again!” but with this arrangement, it’s a completely different beast with a whole new energy. As for the other pieces, I feel like the choir completes the orchestra, like we’re missing an integral part of our instrument without them. Seeing/hearing about former students of mine as happy, successful adults. The PSO is one of the funnest long-term experiences I have ever been a part of, particularly because of the wonderful people in it. We somehow combine the serious nature of classical music discipline with silly over-zealous fun and camaraderie, especially between the low brass and trumpet sections. The Parker Symphony Orchestra is currently rehearsing music for the upcoming A Classic Parker Holiday concerts including pieces we’ll perform with the Parker Chorale. So it’s only appropriate and timely that we share some cool Christmas music trivia and Hanukkah music facts. From the “Chanukah Song” to “Winter Wonderland”, we think you’ll agree that these are interesting tidbits that may just make for great conversation starters this holiday season. 1. “Jingle Bells” is actually a Thanksgiving song. It was written by James Lord Pierpont, an organist at a Unitarian church, and performed during a Thanksgiving concert at the church. 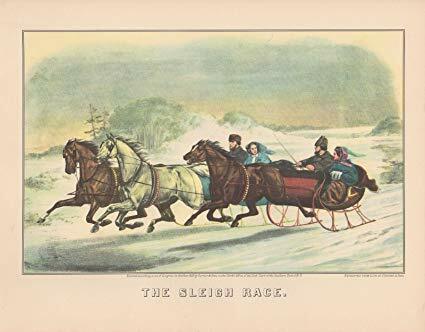 It was originally titled “The One Horse Open Sleigh” but re-published later with the title we all know today. “Jingle Bells” is also the first song that was broadcast from space. 2. Many Christmas songs were written by Jewish songwriters. These include “White Christmas” by Irving Berlin, “Rudolph the Red-Nosed Reindeer” by Johnny Marks, “Let It Snow” by Jule Styne and Sammy Cahn, and “Winter Wonderland” by Felix Bernard and Richard B. Smith. 3. “The Christmas Song” was written during summer. While many Christmas carols sound like they were written during the perfect snowfall or holiday get-together, “The Christmas Song” was penned during a heat wave. In the summer of 1944, Mel Tormé was inspired by a few lines he saw jotted down by his friend and lyricist Bob Wells. They wrote the song as a way to distract themselves from the heat, but since it only took 45 minutes to complete the song, the relief didn’t last long. 4. The English version of “I Have a Little Dreidel” is slightly different than the Yiddish version. The title in Yiddish is “Ikh Bin A Kleyner Dreydl” or literally “I am a little dreidel”. In English, the singer sings about the dreidel, whereas in the Yiddish version, the singer is the dreidel. In the Yiddish lyrics, the dreidel is made out of “blay” or lead. in English, it is clay. 5. The best-selling single of all time is Bing Crosby’s performance of “White Christmas”. While there are no reliable sales figures that date back to when it was recorded, researchers from the Guinness book of records estimate that this version has sold no less than 50 million copies. 6. “Do You Hear What I Hear” is an anti-war song. The word “peace” often makes its appearance in carols including “Silent Night” and the slightly lesser known “Let There Be Peace On Earth”, but “Do You Hear What I Hear” was specifically written as a call for peace during the Cuban Missile Crisis. It was written by Noel Regney and Gloria Shayne when America was on the brink of nuclear war. It is said Shayne was inspired by the sight of mothers pushing baby carriages on a city street. 7. The Christian hymn “Rock of Ages” came from a Hanukkah song. “Ma’oz Tzur” is typically sung after lighting the festival lights at Hanukkah. The hymn’s name comes from its Hebrew incipit (the first few words of the text) which means “Stronghold of the Rock”. A loose English translation of the hymn was written that many know as “Rock of Ages”. 8. Tony the Tiger sang a Christmas song. If you’re a real Christmas music buff, you’ll recognize the name Thurl Ravenscroft. He is the singer behind “You’re A Mean One, Mr. Grinch”. The narrator of the Dr. Seuss classic, “How the Grinch Stole Christmas” was Boris Karloff, but he couldn’t sing. So the production team brought in Ravenscroft. Ravenscroft’s other claim to fame is his voiceover work. He is the voice of “Tony the Tiger” and is best known for his “they’re grrrrrrreat!” line. 9. “O Come, O Come Emmanuel” may be one of the oldest, if the not the oldest, of all Christmas songs. It gained popularity in the 18th century, but it was written in Latin around the 9th century. Researchers believe that Gregorian monks first composed the song, but this is just a good guess. It has been associated with Christmas for almost 1200 years and was translated into English in 1851. 10. “Grandma Got Run Over By A Reindeer” was sung by a veterinarian. It was written in 1978 to be more of a joke than anything. 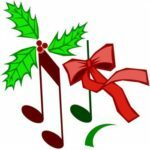 Certainly it’s not a serious holiday hymn to say the least and it often makes lists of least favorite Christmas songs (although it’s sold more than 40 million copies). It was written by Randy Brooks, but he asked husband-and-wife duo Elmo and Patsy to perform it. Elmo, whose real name is Elmo Shropshire, is actually a licensed veterinarian. 11. Mendelssohn composed the music for “Hark! The Herald Angels Sing” to celebrate the inventor Johann Gutenberg. 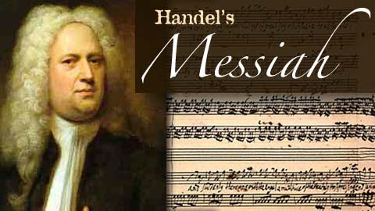 Charles Wesley wrote the original words with the opening, “Hark! how all the welkin rings / Glory to the King of Kings”. The opening was changed to the one we sing today by George Whitefield and was set to Mendelssohn’s music to create the carol we all know. Mendelssohn’s composition was actually a cantata to commemorate Gutenberg’s invention of the printing press. Happy Talk Like A Pirate Day! In honor of the day, we’ve compiled a list of classical music related to the pirate life. From famous soundtracks to swashbuckling operas to rousing overtures, we’ve got your definitive playlist for the day. Probably the best known on our list is the fifth Gilbert and Sullivan collaboration. This comic opera brought us the much-parodied “Major General’s Song“. However, “I am a Pirate King” is a more appropriate selection for today. Watch this rousing pirate selection below. A light and exuberant piece, Anderson’s “Pirate Dance” has melodies you can certainly associate with pirate life. In fact, at one point, you can almost imagine it leading into the Disney “A Pirate’s Life For Me”, but it never quite gets there. Still, it’s a nice lighthearted selection for International Talk Like A Pirate Day. Another opera on our list, Bellini’s “The Pirate” is based on a three-act melodrama called “Bertram, or The Pirate”. It was an immediate success upon its premiere in October 1827. Recent notable recordings have included such famous names as Maria Callas and Renée Fleming in the cast. Hear the opening below. A rousing overture for sure, this lively piece will have you thinking adventure in no time. Leigh was an English composer in the early 20th century. Like “Pirates of Penzance”, “Jolly Roger” was a comic opera. Hear the overture below. You have to be marooned on an island not to know (or guess) that the music from the movie “Pirates of the Caribbean” has a distinctly swashbuckling sound. Hear it performed live below. Another piece written for the movies, Korngold’s soundtrack for “The Sea Hawk” is an exciting and romantic score you wouldn’t guess was composed in the 1940’s. The movie itself starred Errol Flynn as an English privateer who defends his nation against the Spanish Armada. Hear the overture from the film score below. To round out the list, we couldn’t help but include John Williams’ Hook soundtrack. Of course a score for a film about Peter Pan and Captain Hook would have a distinctly adventurous sound. Watch the “Flight to Neverland” from Hook conducted by the composer himself.